The much-awaited southwest monsoon has finally set in Karnataka, with widespread rains in the state’s coastal region and southern area, said a Met official on Monday. 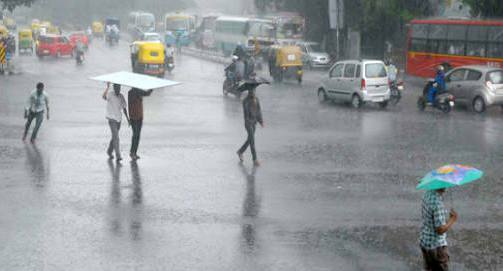 “The southwest monsoon has set in the state on Monday with rains in the coastal and southern interior regions,” India Meteorological Department’s (IMD) Director-incharge C.S. Patil told IANS here. Though the monsoon hit neighbouring Kerala on May 29 and was to enter Karnataka on June 1, it got delayed by three days due to other climatic conditions and changing weather patterns. The Met Office has issued heavy rainfall alerts in coastal and southern interior regions. Moderate to heavy pre-monsoon rainfall was received across the state’s 30 districts over the last week. The pre-monsoon rains, accompanied by thunderstorms and gusty winds, wreaked havoc in the state inundating low-lying areas, uprooting trees and snapping power lines and damaging roads in coastal, central and south interior districts over the weekend. According to IMD data, pre-monsoon rains were in excess of about 40 per cent in the state, bringing cheers to farmers as early rains will keep the soil fertile for sowing operations and fodder for cattle.